It's so hard to keep up with trends these days. All social platforms are implementing algorithm changes. Kids are doing the backpack kid dance while their fidget spinners collect dust. How are you to keep up? Well! We have 3 free downloads to keep you afloat. 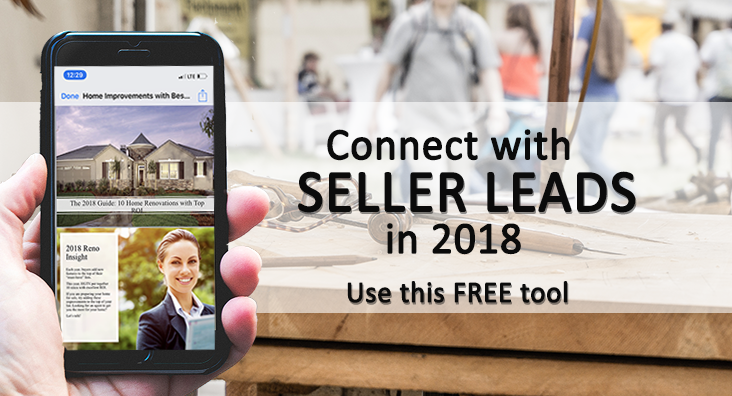 Ready to generate more leads in 2018? We're letting you in on the top 6 real estate marketing trends taking off in the New Year. Get a step ahead by planning your marketing NOW with these insider tips presented in an easy-to-read infographic! Right at this very moment, home owners are making the decision to sell in 2018. Are you on their radar? Ensure the answer to this question is "yes," by giving them tools they will remember you by. Luckily for our current clients, our Product Marketing team has made these modifications to PropertyPulse already, but now we’ve created the 2018 Facebook Best Practices Guide to help you do the same!